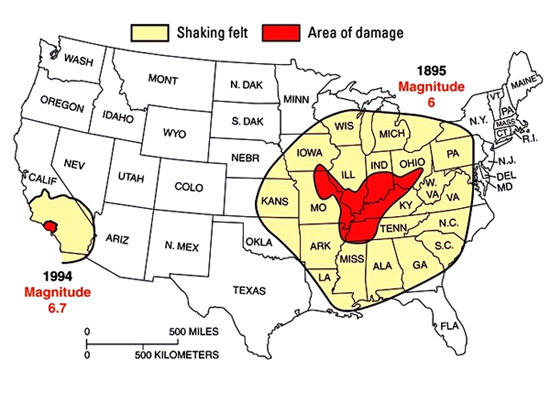 Did you know that a magnitude 3.5 earthquake hit the New Madrid fault about a week ago? According to Fox News, the New Madrid fault line is approximately twenty times larger than the San Andreas fault in California, and it is starting to wake up. Most people don’t realize this, but this fault zone has produced some of the largest earthquakes in U.S. history. In 1811 and 1812, immensely powerful earthquakes along the New Madrid fault rang church bells in Boston and permanently changed the course of the Mississippi River. If we had similar earthquakes today, the devastation would be unimaginable. Unfortunately for us, earthquake activity in the middle part of the country is becoming much more common. The USGS says that the number of significant earthquakes in the middle part of the country has more than quintupled in recent years, and the USGS has publicly admitted that the New Madrid fault zone has the “potential for larger and more powerful quakes than previously thought“. Very few Americans are talking about this right now, but as you will see below, the threat is very, very real. A series of big shakes — of the sort last seen in 1811 and 1812 — would cause about $300 billion in damage, Swiss Re says. The cost would be double the damage from Hurricane Katrina in New Orleans in 2005. Houses — especially brick ones — would collapse. Buildings would sink sideways into liquefying earth. Bridges might tumble into the rivers. The route of the Mississippi River could change — as it did in the last big quake. People would die, perhaps by the thousands. Being mainly a property reinsurer, Swiss Re didn’t estimate the human toll. Could you imagine what that would do to our nation? The financial markets would collapse, the federal government would simply be unable to aid everyone that was suffering, and transportation on and across the Mississippi River would be brought to a standstill. The Illinois Emergency Management Agency (IEMA) along with representatives from other state agencies, National Guard Bureau, U.S. Northern Command, and the Polish Armed Forces participated in the exercise, providing incident management and emergency management teams, agency technical experts and military personnel to support the military’s training scenario. The exercise simulated a 7.2 magnitude earthquake centered on the New Madrid Seismic Zone. The event took place at the 183rd Fighter Wing and the Joint Forces Headquarters in Springfield, Illinois. So is there a reason why we should be particularly concerned about the potential for a New Madrid earthquake right now? Yes, I believe that there is. In essence, the decision to divide the land of Israel into two pieces lies in Obama’s hands. If Barack Obama gives the go ahead, there will be a UN Security Council resolution establishing a Palestinian state. Could we be right on the verge of seeing this take place? Without a doubt, America is ripe for judgment. We have shaken our fists at God as we continue to plunge even more deeply into wickedness. I believe that one of the reasons why the Planned Parenthood videos have come out right at this time is to show us just how evil we have become. But instead of repenting and shutting Planned Parenthood down, our officials are actually attacking the organization that put out the videos. I could go on and on, but I think that you get the point. Our nation has fallen, and we desperately need to turn from our wicked ways. Instead of just talking about these things, my friends and I want to be part of the solution. So Benjamin Baruch, Nathan Leal, Lyn Leahz and I are organizing a nationwide call to prayer and repentance on the weekend of September 18th through September 20th. The main event is going to be held in Sandpoint, Idaho and others are going to be organizing similar events in their own cities. You can find details about the Sandpoint event right here. 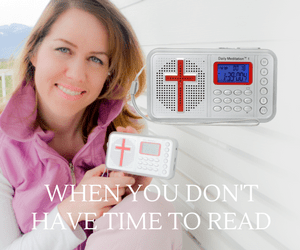 If you cannot attend an event in person, the Sandpoint conference is going to be livestreamed on the Internet on Lyn Leahz’s 65,000 subscriber YouTube channel. You can listen to a recent interview where I discussed this upcoming event right here. Don’t just sit there and curse the darkness. Be part of the solution. Join us in prayer during this very important weekend. Yes, a great shaking is coming to America, but out of this shaking could come a great revival. And without a doubt, America desperately needs one.